So, another year draws to a close, which means it’s time to sum up my reading over the past 12 months. I read 68 books, quite a bit down on previous years, but I read a higher percentage of women (62 per cent) than ever before. Over the course of the year I gave myself a few projects, with mixed results. I attempted to read the entire shortlist for the Stella Prize, but only managed to read three of the six titles because at the time they weren’t available in the UK. I had better luck with the shortlist for the Miles Franklin, reading all the titles and totally agreeing with the choice of winner: Michelle de Kretser’s The Life to Come. I took part in #20booksofsummer — and managed to read 19 books, four more than last year’s effort. I read 19 books by Australian women writers as part of the 2018 Australian Women Writers’ Challenge, almost twice as many as I planned to read. 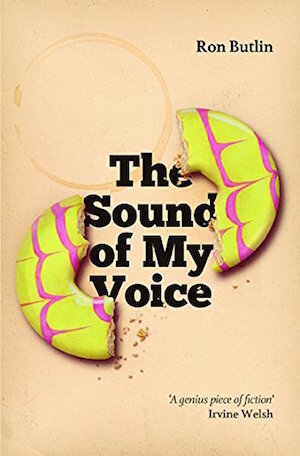 I read the entire shortlist of the ScotiaBank Giller Prize and participated in the Shadow Giller for the eighth year in a row, but I was a bit lax in my reviewing obligations. On first impressions, I’d say it was a relatively mediocre reading year for me, and going back through my reviews I can see that it was a definite year of two halves, with the first being particularly strong and the second being much weaker. So here’s my list — a mix of old and new, heavily weighted towards Australian novels with a handful by authors from Ireland, Northern Ireland, Scotland and South Africa The books have been arranged in alphabetical order by author’s surname. Hyperlinks will take you to my full review. The day-to-day struggles of a biscuit factory executive who is also a high-functioning alcoholic. 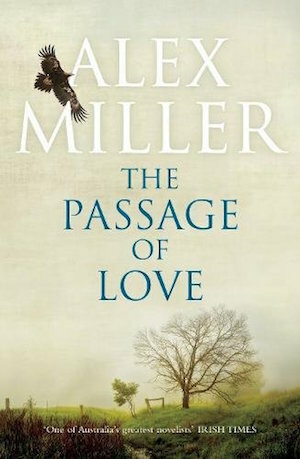 A heart-rending portrait of a doomed marriage set in small town Ireland. 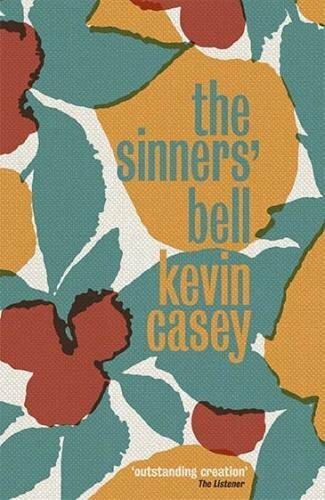 Suspenseful South African novella in which a man on the run from the law switches identity with the priest he murders. Slightly disturbing Australian classic about an eccentric woman who invites a teenage orphan to live with her on a remote farm — with unforeseen consequences. 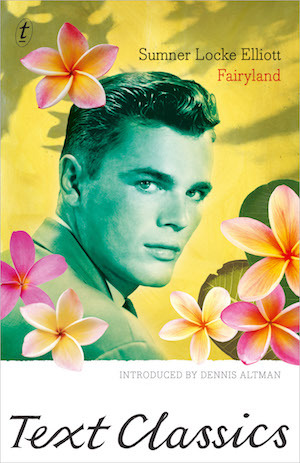 Thinly veiled memoir about a gay man hiding his real self from the world in 1930s/40s Sydney. Thought-provoking tale that weaves together five interlinking stories set on one tract of land to show the environmental impact over four centuries. Fictionalised account of the author’s own life trying to pursue a writing career at the expense of his marriage and financial security. 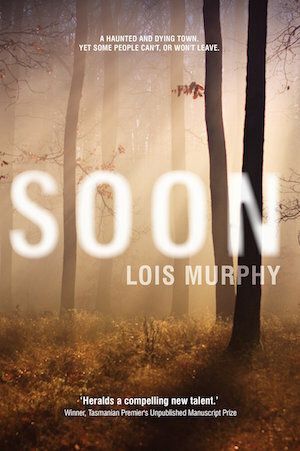 Deliciously creepy novel, part horror, part dystopian, set in a country town threatened by an unexplained mist. Beautifully evoked portrayal of a father’s grief masquerading as a treacherous road journey across a snowy British landscape. 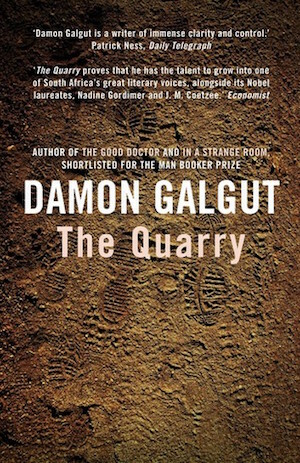 Fast-paced tale about a teenage boy on the run through some of the outback’s most inhospitable territory. Hope you’ve had an exciting reading year. Have you read any from this list? Or has it encouraged you to try one or two? What were your favourite reads of 2018? Please note that you can see my favourite books of all the years between 2006 and 2018 by visiting my Books of the Year page. Hi Kim, happy new year! 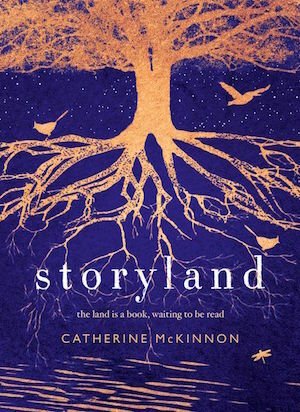 I’m so pleased to see Storyland in your list. It’s been a bit of a bridesmaid, appearing in many shortlists but not quite carrying off the prize. But I think it will be a stayer, a book that outlasts the first flush of reviews and goes on to be a book that lasts a long time. I’m looking forward to reading more of your reviews this year, but for now what impresses me most is the way you can sum up a book in a single sentence. I wish I could do that! Thanks, Lisa, and a happy new year to you, too. I think Storyland is an amazing accomplishment, but I really wish it was published outside of Australia. It deserves a wider audience, me feels. As for the one-sentence summary, that comes from years of sub editing articles and has got much easier with time! It’s the difference between professional writing and amateur. Mine is less disciplined. I do too Lisa!! I guess that’s the journalist’s skill but how I’d love it too. I try to do it in my little db but with little success. Thanks, again, for your contribution to the AWW Challenge. And congrats on reading ALL the Miles Franklin. Yes, I thought later about de Kretser given your comment about the MF. This is exactly why I go for a more wishy-washy approach in my end-of-year reading wrap up! Too cowardly! Happy New Year, Kim. I always love your lists. Storyland sounds like a book I would love but there are more. I had a feeling of a mediocre reading year too. Thanks, Caroline. Sadly, Storyland isn’t available outside of Australia, which is such a shame because its themes would apply to a broad universal audience. Funny how we both felt our reading years were mediocre… I read a lot of books that were good but very few stood out as brilliant. Looking back on what I read it seems that older books (“modern classics” for want of a better word) appeal to me more these days than brand new shiny ones, so I think 2019 is going to be focussed on reading these kinds of books, many of which are already sitting on my shelves! 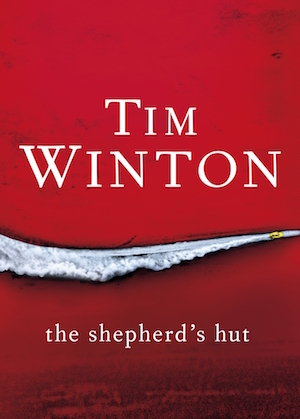 It’s not the first Australian novel I wasn’t able to get. I used to always try out new authors but now I feel I should rather revisit those I know I love. Modern classics mostly. And my shelves offer a lot of those too. Ah, those could be barriers to sourcing. Thanks for the other site suggestions. I’ll check them out. I’m intrigued by Travelling in a Strange Land and happy to hear you enjoyed it. I’m with you on reading from the shelves, not that I read too many newly published books, but there are so many excellent, underrated novels that’s it become easier to source and get opinions on from readers and bloggers that I feel inclined to halt the temptation of shiny new things and go more for that which seems likely to resonate with my particular reading inclination. Happy New Year Kim and Joyful Reading 2019! 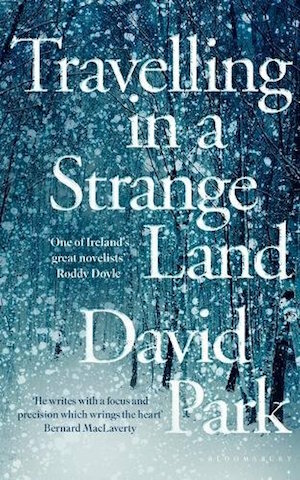 Oh, Travelling in a Strange Land has a really lovely, atmospheric quality to it… it’s ripe with metaphors about photography too as the narrator is an unsatisfied wedding photographer… I totally adored it. I read a lot from my shelves this year and I’ve realised that I appreciate older books — modern classics for want of a better description — than the shiny and the new, and this year I really do want to read much more from my TBR and to focus on all those lovely books that have been sitting here unread for years and years!